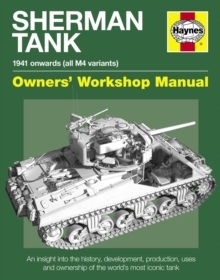 This title tells the story of the development and production of the military vehicle, from the first basic trucks, through the advances made in the inter-war years, to the specialized vehicles in World War II and beyond. 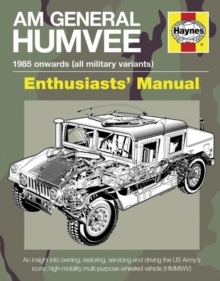 It contains an illustrated A-Z catalogue of more than 185 vehicles, including famous makes such as Austin, Land Rover and Scammell from the UK; Willys, Dodge, and GMC from the USA; GAZ and ZiL from the Soviet Union; and manufacturers from around the world, including NEKAF, Tatra, Raba, Timoney, Beijing Jeep, Mitsubishi and DAF. The specification panels detail the country of origin, type, manufacturer, production dates, powerplant, transmission, suspension, brakes, electrical system, dimensions, weight and performance of each vehicle. It features over 530 photographs illustrate each type, including commissioned work and many rare and unseen photographs. 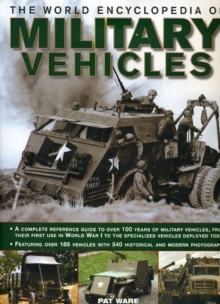 This reference book provides an authoritative and well-illustrated 100-year overview of the fascinating history of the cargo/troop-carrying trucks, wreckers, tankers, ambulances, communications vehicles and other specialized types that provide technical support to the front-line troops. 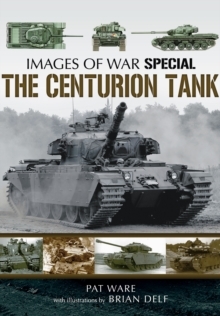 The author begins by describing the history of the wheeled military vehicle. 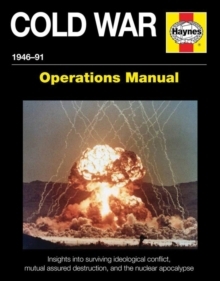 Key issues are covered in detail, with topics such as the emergence of standardized designs, missile transporters and amphibious vehicles, as well as the impact and aftermath of the two world wars. A country-by-country A-Z directory then covers over 185 specific vehicles in detail. The origins and development of each vehicle are clearly described, and a specification panel gives key performance and dimensional data.